This past weekend I had the chance to conduct two ice fishing seminars in the Uni Dome as part of the Eastern Iowa Sports Show. It was a great time last year and looked forward to it again this year. The first seminar covered all the different electronics used while ice fishing. I am fortunate enough to have all the toys and enjoy talking to anglers about them. Most importantly how to use them to catch more fish. As always there were beginners in the crowd and ice fishing veterans too. I discussed GPS units, cameras, flashers and how to use the Internet to help anglers get the upper hand in catching more fish. The second seminar focused on putting all your ice fishing tools to good use on the ice. 8 spoke about all the tools used to help anglers at home more fish. Several questions arouse about the type of fishing shack to use or purchase. In my opinion the flip over shacks are made for the angler that likes to move around a lot. The hub or base shacks are for those who like to stay in one place for extended times. So whatever type of ice angler you are, there is a shack out there for you. 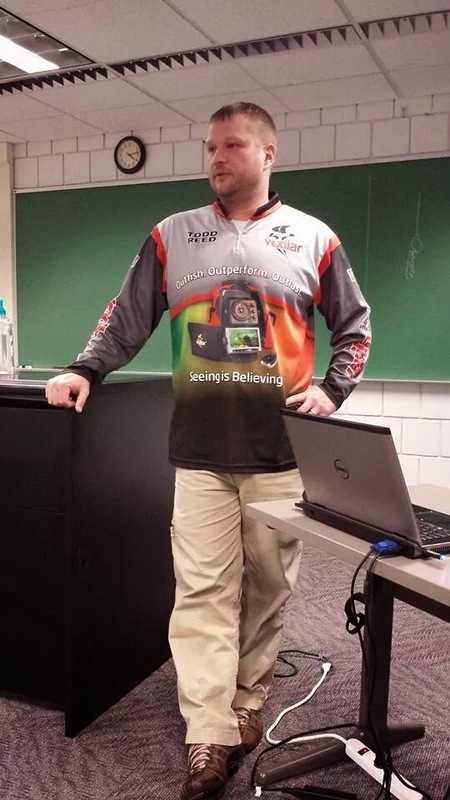 I could go on and on for days talking about ice fishing, so these seminars really only touch the peak of the iceberg that anglers can learn about the sport. There are so many resources online that I encourage anglers to search out and learn from. The world of ice fishing is constantly changing and we have to learn as much as we can to stay ahead of the game and catch more fish. 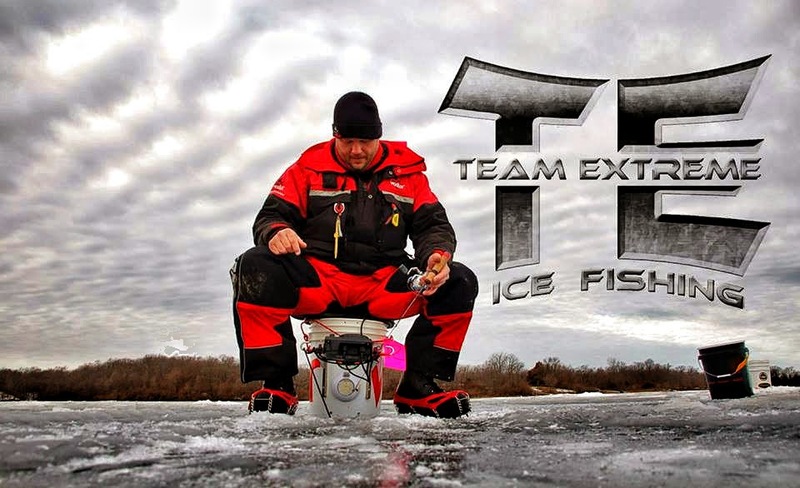 This past Sunday was the second event in the 2015 ice fishing tournament series for Team Extreme. 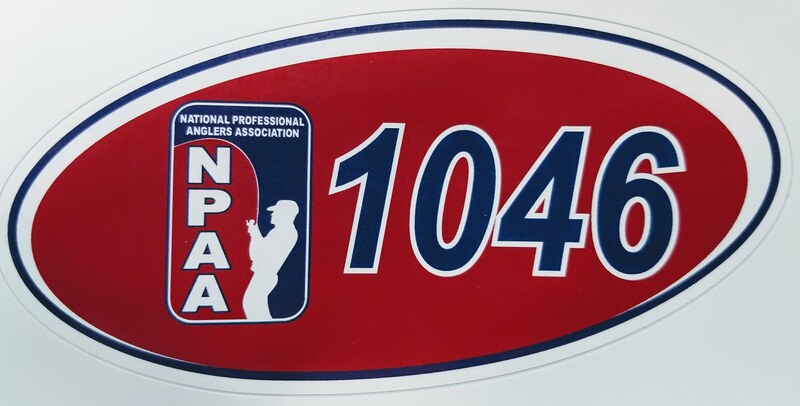 This group, which originates in Minnesota travels to Iowa, Wisconsin and of course Minnesota running tournaments for ice anglers. The second event took my partner Mark Anderson and I to Big Creek Lake near Des Moines. This is a lake that Mark has frequented many times and for the past few years we have always teamed up or an event here each winter. The past two years we have found ourselves in the top five and we were hoping to do the same in this event. We both hit the lake on Saturday to search out the crappies and the bluegills. We both worked hard, drilled a lot of holes and had very little success. Mark did have some confidence in one area and that was the area that ended up putting many fish in our bucket on tournament day. After the dismal day of fishing, backed up by everyone else saying the same thing we decided to make a game plan based on Saturday's work and our successes from the past tournaments. We really had no idea where we would end up in the standings, but a few quick conversations with some of the areas top anglers had us thinking good thoughts. Their days had them questioning the lake even more than we were. Mark and I worked hard for this one, and we ended up in 2nd place. We earned some cash, $200 in Striker Ice merchandise and 99 valuable Team of the Year Points. We currently hold the lead but only by 3 points, a narrow lead that we will have to work to keep up. 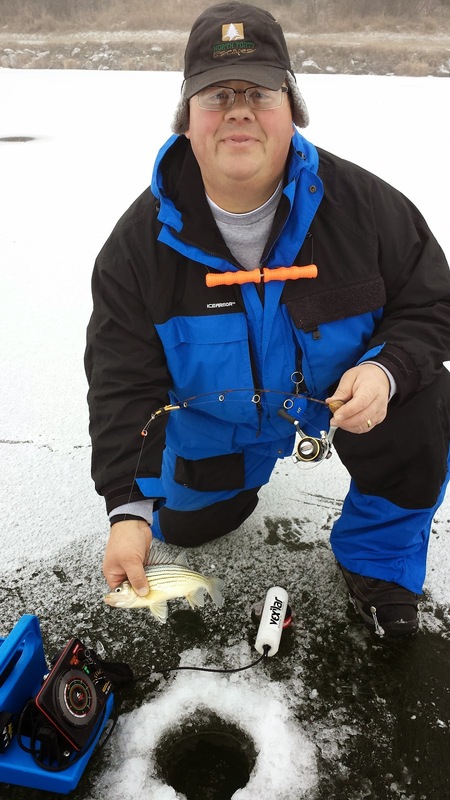 This past weekend Mark Anderson and I embarked on a winter-long ice fishing tournament series. Team Extreme Ice Tournaments started a few years ago in the states to the north of us. Last year the series came to Iowa. We were able to fish a couple events last year, and this year we plan to make them all. The first stop was West Okoboji Lake. Team Extreme set the limits of this tournament to Emerson Bay. This allowed the 23 teams to spread out and find those big Okoboji bluegills. The tournament goal, or limit was 12 bluegills per team of two anglers. 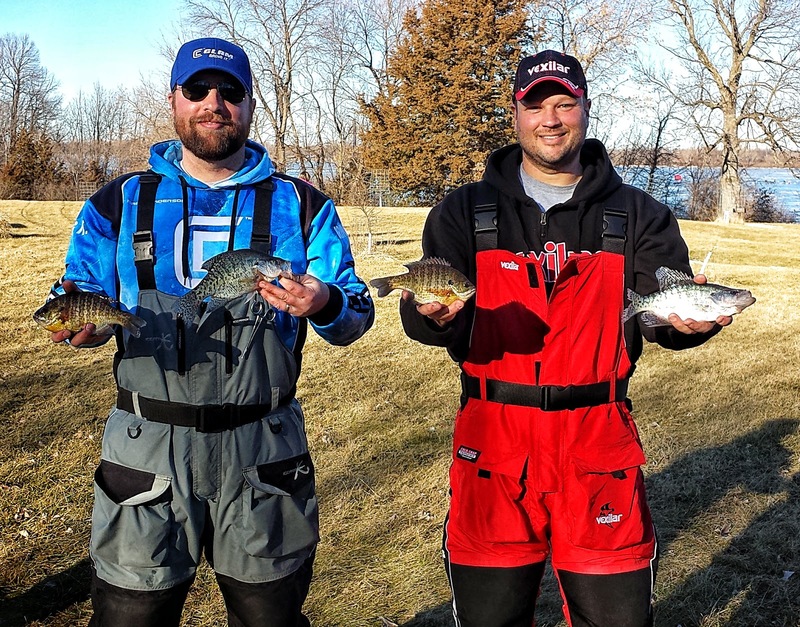 When fishing at Okoboji catching 12 bluegills isn't normally a problem, it trying to catch those big ones that swim in the crystal clear waters. My partner Mark was able to get up to the lake on Friday. He checked a few areas over, and then I joined him on Saturday morning to continue the search. Saturday consisted of covering much of the Emerson Bay. 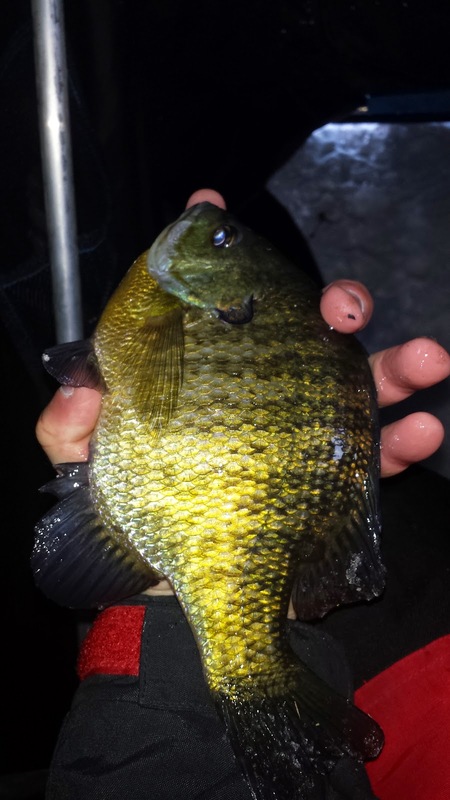 We would drill holes, check the area with our Vexilar FLX-28's to check for fish, depth and weed growth (which is key for Okoboji Bluegills) We used our Vexilar camera systems to pan under the ice to see if bluegills were in the areas we searched out. Catching a few told us the exact size which allowed us to get a game plan ready for competition day on Sunday. 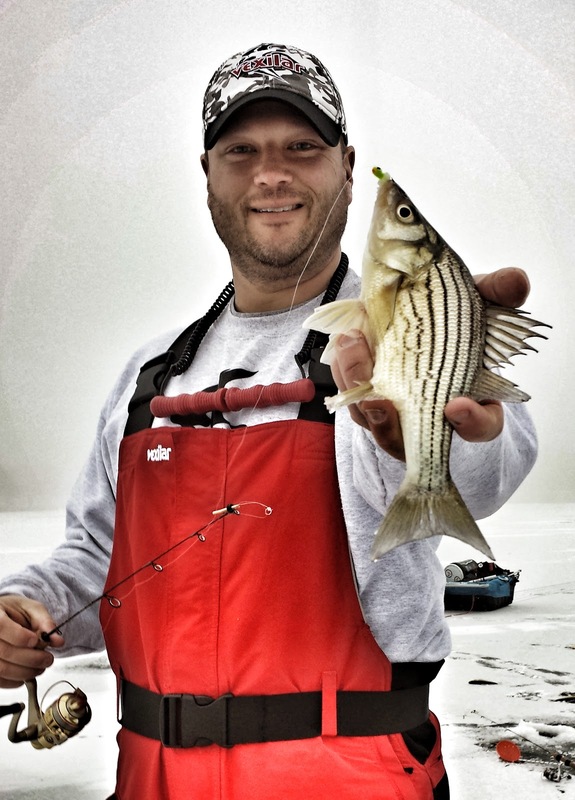 If you have never been ice fishing on clear waters, especially targeting fish in shallow water which occurs at West Lake Okoboji it can be very rewarding and very frustrating. Most bluegill fishing occurs in the shallow waters of the lake, being less than 10 feet of water. With the water being so clear it really gives the fish an advantage. They can see your line, jig, bait and even things that go on above the hole. To say the least, these gills are spooky most of the time. We knew that we had to have our "A" game ready for Sunday. Sunday morning came with a pleasant forecast, light winds and temperatures in the single digits. Not too bad for northern Iowa in January. The tournament started at 8am and we had six hours to catch and weigh-in our best 12 bluegills. Again, catch 12 bluegills wouldn't be the problem, we just had to trick the bigger ones into biting. Horizontal jigs seem to work the best, and we stuck with that all weekend. Live bait such as maggots and waxworms were our choice. I found myself changing jigs often throughout the day, trying different colors until consecutive bluegills told me they didn't like it. Our bluegills were caught on white, black, red, silver, and brown colored jigs. We fished hard all day long and I felt pretty good with what we had in our bucket as we left to weigh-in. Our 12 gills weighed in at 6.94#. A solid weight that got us 5th place out of 23 teams. We had four really nice bluegills that weighed around 0.75 pounds each. Solid fish that we knew would help us inch towards that top. It was a great day, we had a plan and stuck to it which led us to a top-5 finish, an awesome way to start the ice fishing tournament season. The weather here in Iowa the past couple weeks have been disappointing. As I type this however, the outside temp is -1, so at least Mother Nature is trying to catch up and build some ice for us ice fishermen. Yesterday David Bowles and I ventured over to Otter Creek Lake near Tama. After getting several ice reports from friends telling me the ice was a good 5 inches I was excited to check this lake out. We entered the ice with caution drilling several test holes, just to be on the safe side. Sure enough 6 inches of ice and it was nice and clear. Yellow Bass were the target for the day. We started searching for the yellows in water ranging from 14 feet up to 6 feet. 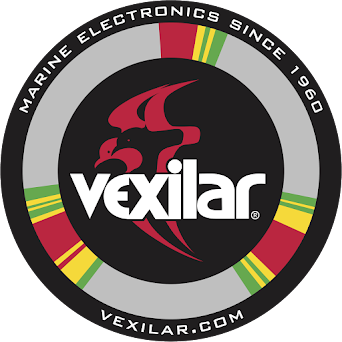 After popping several holes with the K-Drill David started marking fish in the 7-10 foot range with the Vexilar. We started catching fish right away but soon found out that these fish were going to be picky. We were constantly changing baits from waxworms, to spikes, to cutbait. Today it seemed that the spikes were the best option for the yellows. Another key to both of our successes were the use of the spring bobbers. A lot of the fish bit very lightly, and without a spring bobber, you would not have caught near the amount of fish we did. In the 4+ hours we fished in the morning we kept about 25 keepers, which ranged from 8 to just over 10 inches. They will make a great meal for David and myself. Moving often, zoning in on the depth of water with active fish, drilling a lot of holes, utilizing our Vexilars and spring bobbers brought us a great morning of fishing. It's great when a plan and your equipment work great to help you meet your fishing goals.